No matter how long you’ve been working with Dremel’s Multi-Tool, there’s no such thing as too many tips. A little research and preparation can go a long way in preventing mishaps as you continue your creative pursuits with Dremel. Here’s a list of the best ways to avoid some of the most common mistakes you’ll come across in the workshop. A common mistake often made is pressing too hard with the tool. A light touch is the best touch. Your tool could stop rotating when too much pressure is applied. When it comes to carving, gently pressing the tool to the wood ensures your masterpiece will stay split-free. 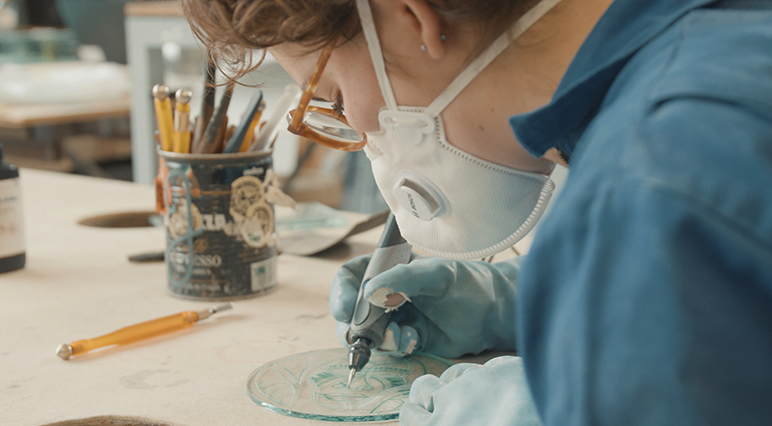 Engraving or etching on glass? Using light strokes gets the best results. And when you’re using any of Dremel’s sanding accessories, less pressure ensures your finished surface is even. Your Dremel Multi-Tool’s high-speed rotation is designed to do all the heavy lifting – meaning you just need to be there to guide it. Incorrect grip is another common mistake. Depending on the project, your grip will change. There are three possible grips: pencil grip, one-handed grip and two-handed grip. Are you doing detailed engraving work? It helps to hold your Dremel Multi-Tool just like you would hold a pencil, as the angled grip delivers the greatest amount of manoeuvrability and control. The one-handed grip is, for example, useful for drilling horizontally. Two-handed grips give extra stability. The underhand-overhand combination gives firm support, which is particularly useful for grinding, sanding and cutting. Let’s face it: some projects require a lot more control and patience than others. But with the right attachment, your next project can be as enjoyable as the end result. The Dremel Multi-Tool can be combined with a few ingenious attachments that come in handy when fatigue sets in. Take the Detailer’s Grip, a handle that fixes to the body of your tool to provide better control and fight fatigue. The Multipurpose Cutting Kit and Plunge Router are perfect partners to the Spiral Cutting Bits, and help keep things on the right track, while the Shaping Platform allows you to sand and grind at the perfect angle. A common mistake made by many is skipping the preparation. A little bit of prep before you begin helps everything run smoothly. 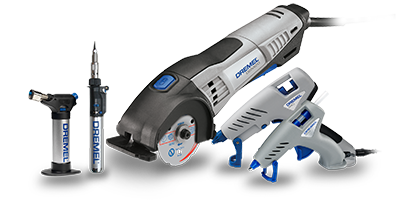 If you’re using one of Dremel’s cordless tools, always be sure to charge the battery to avoid disruption during a project. Keep your workspace free of shavings to maintain optimal vision by having a vacuum cleaner to hand. Using fresh sanding bands during a sanding project ensures the smoothest results. And finally, when embarking on a larger project, make sure you’ve got enough material – be it wood, glass or metal – and accessories, so you can get the job done without a last-minute trip to the hardware store. 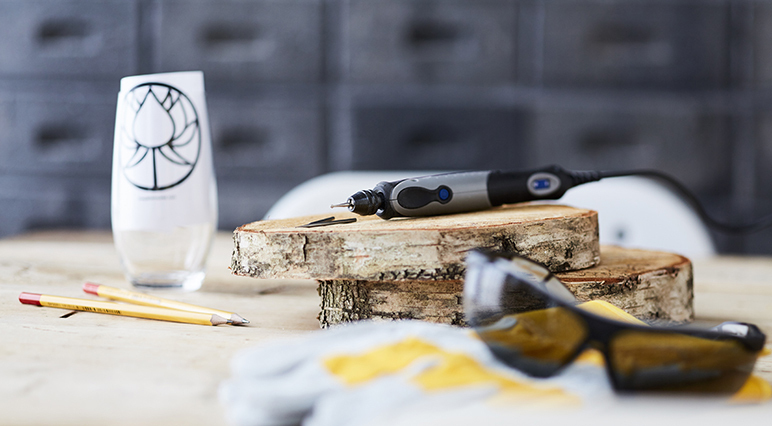 Another thing to look out for when using your Dremel Multi-Tool to cut or carve wood; engrave metal or glass; or grind metal, is the accessory’s correct protrusion length (how far the accessory – be it a spiral cutter or router tip – is sticking out of the tool). As a guide, your chosen accessory should protrude no more than half the length of the shank, but less is even better. Aiming for a shank protrusion of 0,3mm to 0,5mm is perfect. The Multi Chuck enables you to quickly and simply switch accessories on your tool without using collets. 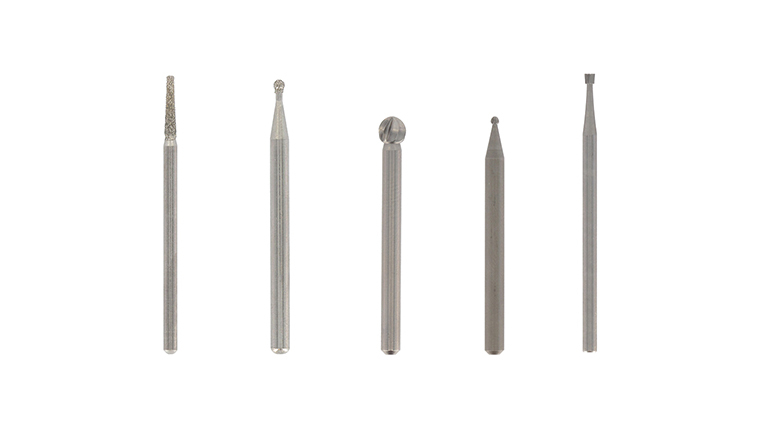 It can also be used across all shank diameters. If your chosen accessory isn’t correctly aligned with the Multi Chuck, problems can easily arise. To avoid this, always make sure that the accessory you’re using is precisely in the middle of the Multi Chuck before you start using the tool. Want to know the biggest culprit behind the mistakes made in the workshop? Over-enthusiasm! This also happens to be one of the most easily solved. Before you start a project, always test your skills (and your chosen accessory) on a piece of scrap wood, glass or metal. Another good idea is to try different speed settings on scrap material, so you can see results from each. Using multiple accessories? Be sure to give each one a test run, so you won’t get any unpleasant surprises once your project is underway.